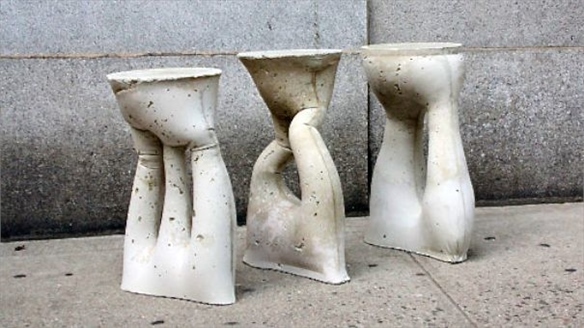 US-based designers Joseph Serafian and Ron Culver have developed a technique for casting concrete in fabric moulds stretched by robotic arms. 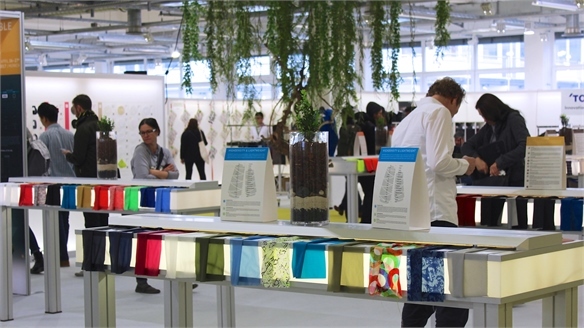 The freeform results could lead to complex new architectural structures. 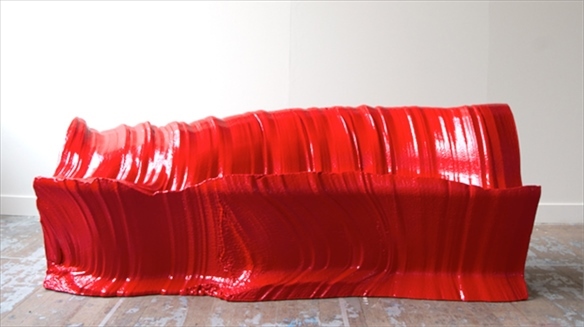 To create these flowing forms, a concrete fibreglass mixture is poured into Y-shaped sleeves made of Lycra, and then stretched into the desired shape using two dexterous Kuka robotic arms. Each element takes around 45 minutes to harden ­and once the concrete sets, the sleeves are stripped away. 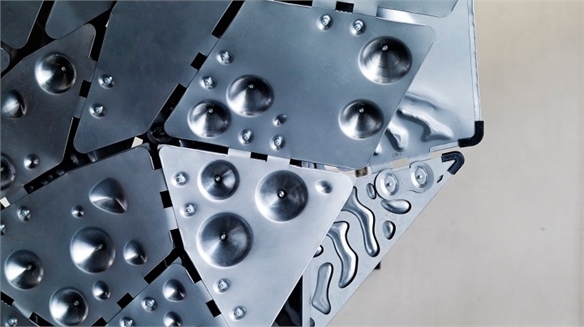 The shapes are then individually connected using 3D-printed bolts. This is a considerable development on conventional concrete casting, which requires bespoke solid moulds to be made for each unique shape. The fabric moulds are low cost and easy to set up, allowing radical architectural forms to be rapidly prototyped. This makes the technique more dynamic in terms of speed, form and material sustainability. At present, the ongoing Fabric Forms project can only create smaller, decorative elements. The designers say they are looking to enlarge the technique to make load-bearing elements and complete structures possible. 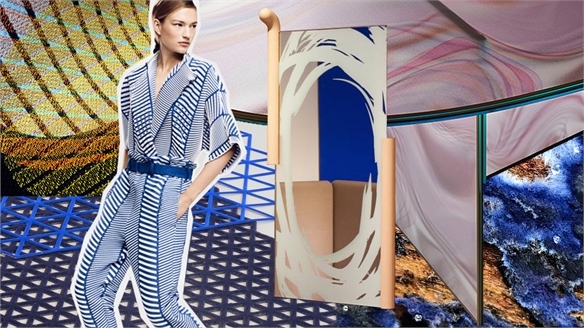 Read about fabric as inspiration for new products in Fabric Forms. 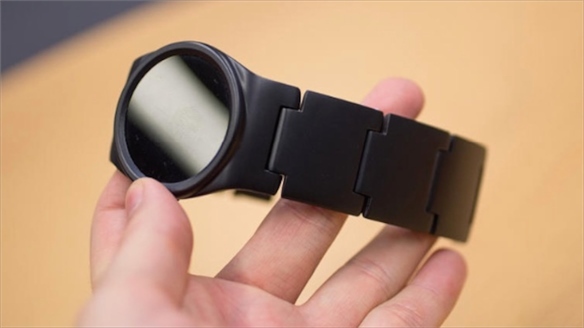 For a look at how programmable tools are being used to create transformable, programmable and even bio-responsive products, see Personalising Product. See Super Materials: New Innovations for other groundbreaking manufacturing techniques. 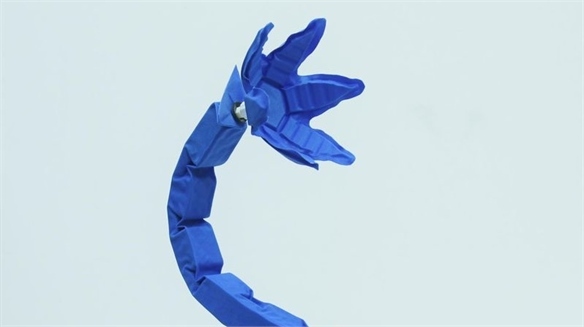 Artificial Muscles Empower Soft Robots Artificial Muscles Empower Robots Researchers at Harvard University and Massachusetts Institute of Technology (MIT) have published a study on origami-inspired artificial muscles that could prove revolutionary for the future of soft robotics. CMF Industry View: Architecture CMF Industry View: Architecture Our Industry View reports collate the latest trends in colour, material and finish (CMF) and explain how they are set to influence future applications in different sectors, focusing on one industry at a time. 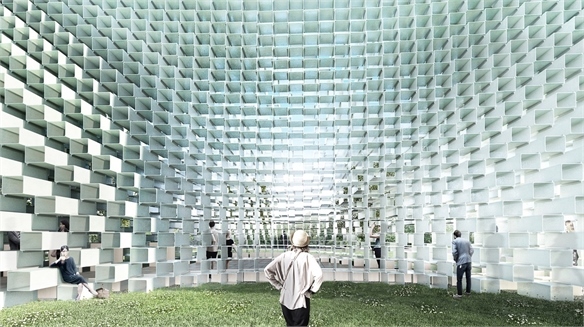 This month, we highlight key innovations emerging in architecture, drawing out inspirational images from spatial and product design, art and textiles to support key themes. Biomimetic Material Innovations Biomimetic Material Innovations As research into synthetic biology matures, so do the potential applications, with scientists ensuring new discoveries are put to credible use. We highlight recent biomimetic material innovations – from shrimp-inspired metal alternatives to antibacterial contact lenses modelled after insect wings. 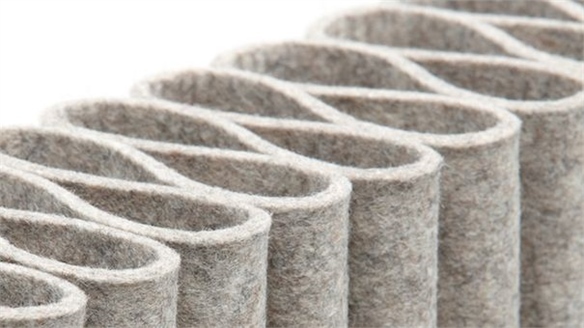 Super Materials: New Innovations Super Materials A new wave of material innovation is addressing the need for strength, durability and high performance in design. We highlight the latest groundbreaking techniques set to influence future product, interiors and architecture. 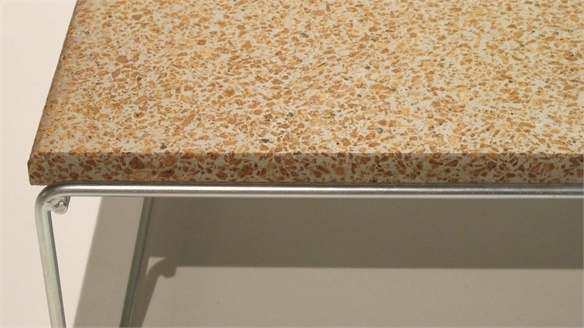 Material Highlight: Cork & Concrete Composite Cork & Concrete Composite A new composite by German group Design Studio Niruk combines fragments of recycled cork with concrete for a lightweight yet durable material. This unusual combination results in a fresh visual and tactile language – as warm and cold, organic and manmade collide. 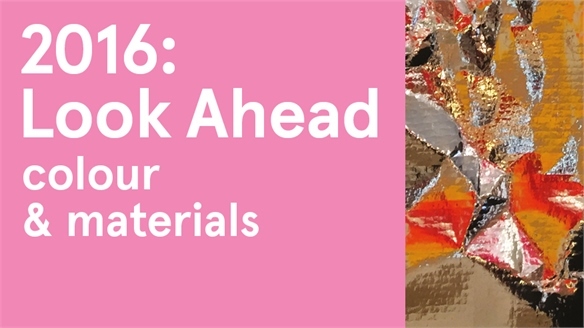 2016: Look Ahead - Colour & Materials 2016: Colour & Materials Progressive technologies in 2016 will focus on innovations that have embedded functionality to enhance performance. This is further emphasised by initiatives that are pooling their knowledge to develop new technologies and responsible manufacturing practices. A key example is Launch – a collaborative enterprise started this year, involving major global brands and innovators including Nasa and Nike. This cross- pollination of industries and commercial collective thinking will produce effective technologies and resourceful solutions to manufacturing issues. This area is definitely one to watch in 2016. The Wave Cabinet The Wave Cabinet The Wave Cabinet is part of a series of functional sculptures by New York-based artist Sebastian Errazuriz. 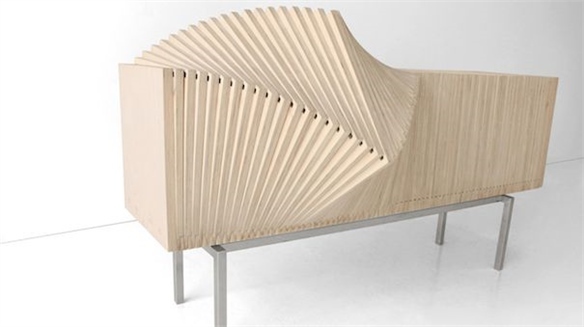 Composed of 100 Baltic birchwood slats, the engineered cabinet can be configurated into multiple undulating shapes. Fabric Forms Fabric Forms Folded, pleated, quilted or moulded, fabric is inspiring new product. From performance-engineered transport to adaptable upholstery, Stylus highlights the latest innovations. Free Form Free Form Evolving our Responsive theme from last season, materials that possess reactive or interactive elements are utilised in products that serve a practical purpose, yet are compelling and playful. 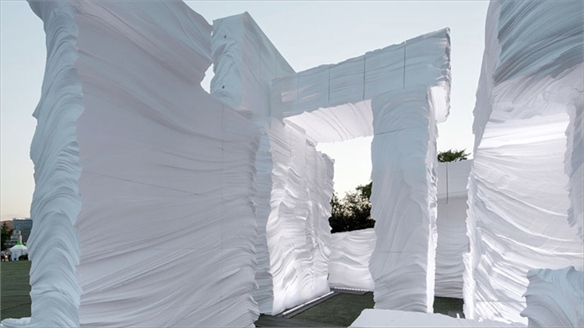 Experimental and prototype concepts consider a material's natural properties for imaginative methods of making and packaging. Intervene: Cutting Edge Sofa by Martijn Rigters Intervene: Cutting Edge Sofa As seen in our Autumn/Winter 2015-16 Design Direction Intervene, Dutch designer Martijn Rigters is part of a growing number of designers reinventing conventional manufacturing techniques through process-driven design. 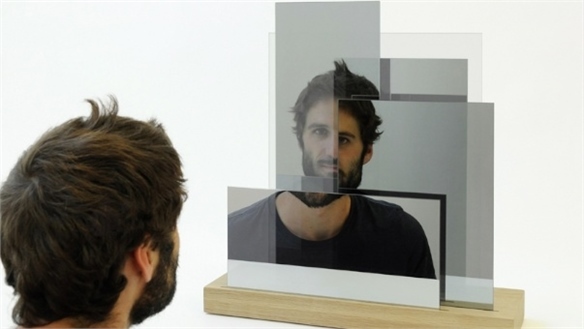 Distortion Distortion Advanced technology and digital glitch are influencing a new direction for materials. 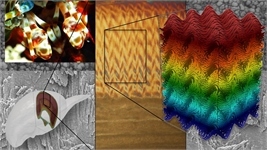 Groundbreaking techniques at a nano-level and complex design ideas are cleverly applied to materials to make them more adaptive and reactive in exciting and unexpected finishes and constructions. Responsive surfaces, illusions and distortions inspire new print techniques on glass. Advances in colouring metal and interlocking flexible forms lead this aesthetic.